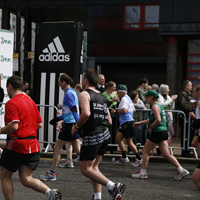 Looking for a marathon to enter in 2009 or 2010 and don’t know which one to choose? 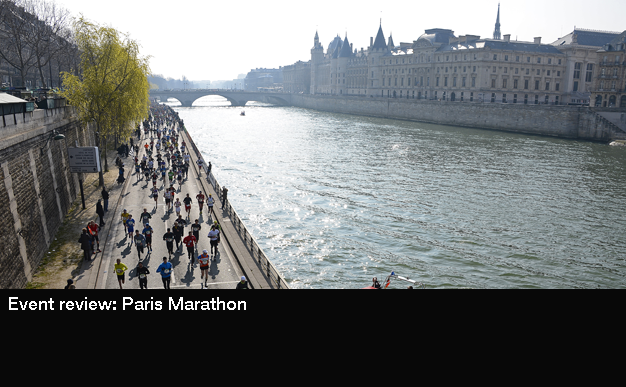 Here’s Sportsister’s pick of ten marathons from all four corner’s of the globe. So whether you are after stunning scenery, a quick course or the ultimate endurance experience, there is a marathon for you. Who it suits? 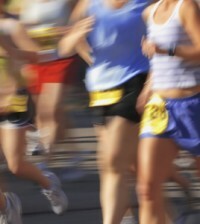 This marathon is the richest of all time with a record of $2 million in prize money in 2009. The Dubai World Trade centre marks the start and finish of the race which is flanked by huge spectator grandstands, providing plenty of space for fans to cheer you on. The flat route is a complete circle of the city, and is designed for fast times. Ethiopian running legend Haile Gebrselassie has confirmed that the 2009 race will be his next major appearance. Who it suits? This is probably the toughest running race in the world ; competitors must cover 151 miles in stages over six days across the Sahara Desert. Not only must you run practically a marathon a day, but you must carry all your food, equipment and clothes in a backpack too. Many fail to finish and some have died doing this race, so it’s not for the faint hearted. This is the eighth edition of this event, which aims to raise money for the young Sharahwi children. Read our full feature on this event here. Who it suits? This race takes running to the extreme, and will push even the fittest to the limit. In 2009 it is the 100th anniversary of man reaching the North Pole so it is sure to attract lots of attention. Those who love a challenge will thrive competing in sub zero temperatures in one of the most remote places on the planet. The race is run entirely on the frozen water of the Atlantic Ocean, so it will test the endurance and strength of any athlete. An experience like no other. Who it suits? Runners will line up for the 113th edition of this race, making it the oldest and one of the most prestigious races in marathon history. To even run this marathon there are quite tough designated time standards which an athlete must achieve to even participate, so check these before you enter. After the 25km mark the route goes up a series of hills called the Newton Hills. The aptly named, Heartbreak Hill is the last climb before the finish. It’s a challenge, but worth it. Who it suits? This is a race for everyone. It’s probably the world’s most famous and competition for entries is fierce. 2009 spots are still available if you run for a charity but all ballot places are full. The course is relatively flat and fast. It starts in Blackheath and finishes at the Mall outside Buckingham Place. The route encompasses some of London’s most historic sights, passing over the Tower Bridge at 12 miles, past Big Ben and Westminster Bridge. Who it suits? Anyone who wants to run along one of the most famous landmarks in the world. Tougher than some races so you are probably not going to get a PB, but you will be well rewarded with fantastic scenery as you run through small villages and rice fields. Previous runners recommend training in stairwells at home to prepare you for the thousands of steps you go up and down on the course. The race has a 7am start to avoid the main heat of the day when temperatures can climb to 35° at this time of year. Who it suits? The Red Cross Big Five Marathon is run among the wildlife in the South African savannah. The route goes right through the habitiat of the most famous game such as elephants, rhino, buffalo and lions. During the race there is a climb of three kilometres, during which you will experience a 500 metre increase in altitude, adding an extra challenge. Spectacular scenery and the native animals make this a special race to run. Who it suits? If you are looking for a new experience, but don’t feel the desire to push yourself to the limit then maybe the Midnight Sun Marathon is for you. Perfect for all levels thanks to the relatively flat course, it is held in Tromsø, Norway and is one of the world`s northernmost marathons. It’s a totally unique experience to run in the arctic and under the midnight sun. It’s also famed for the great local support as they publish all runner’s names and race numbers in the local paper meaning you get shouts of support from total strangers! Who it suits? The Berlin course is flat and fast, making it suitable for all runners and a great one to get a PB on. Most of the course is based within the former West Berlin but it does take in the main sights in the former East Berlin’s city centre finishing at the Brandenburg Gate. It’s a good choice for novice marathon runner’s looking to experience their first foreign race. Who it suits? The New York marathon is one of the most exciting in the world. The classic course takes you through 5 New York Boroughs and past some of the city’s most famous landmarks such as the Empire State and the Chrysler buildings. With little time difference, a manageable flight time and similar weather to the UK it’s no wonder it is popular with British runners. Do you agree with our choices? Why not let us know what races or events you have taken part in that you have really enjoyed and would recommend to others. 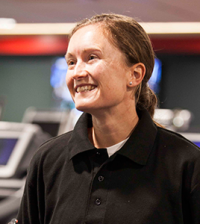 Tell us what you think on the Sportsister forum.